Our good friends at O Apartamento invited us to Lisbon to connect with collaborators and amazing people from all over the world. Their space is shaped by their love for bringing creative minds together – and their love for good food. Located in a residential building in central Lisbon, O Apartamento is somewhat our Portuguese sibling. Their mission is “to bring the world to Portugal, and introduce the best of Portugal to the world.” On the occasion of our latest get-together, they proved once again that creativity runs through their every fiber, from collaborations to the kitchen. Adapting traditional Portuguese classics for a modern palette, their mission is to serve dishes that are familiar and yet different – and reflect who they are. O Apartamento’s passion for food runs deep. Creative producer Inês Matos Andrade, a former food journalist for Time Out Magazine, even has a fork and knife tattooed on her arm. Food has shaped her memory from an early age: “When I was little and travelled with my parents, I kept a journal on what I ate for breakfast, lunch and dinner. 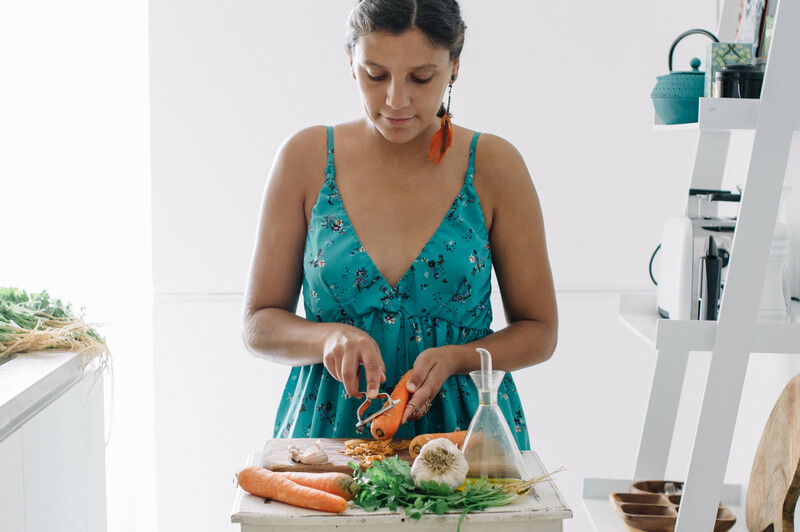 I just wrote about food, nothing else.” Together with colleagues Paula Cosme Pinto and Vasco Aguás, she creates whatever dishes come to mind, drawing from their varying tastes and experiences. 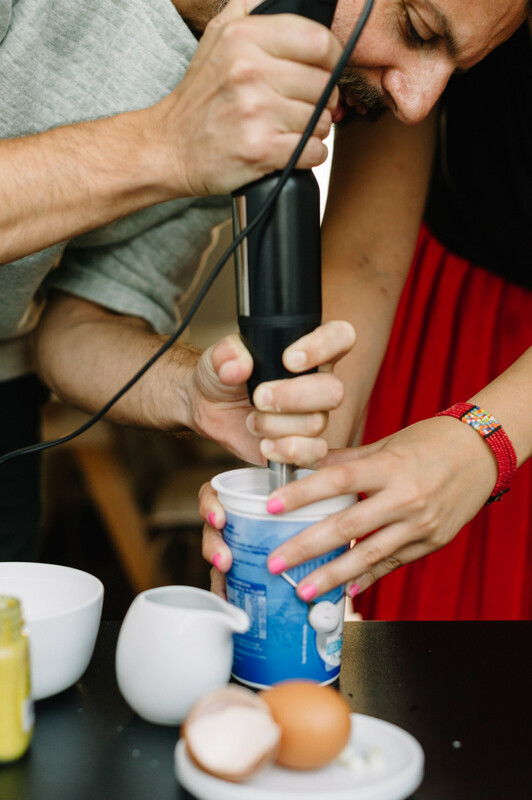 Because O Apartamento is all about sharing great ideas, they agreed to share some of the night’s most praised recipes below. 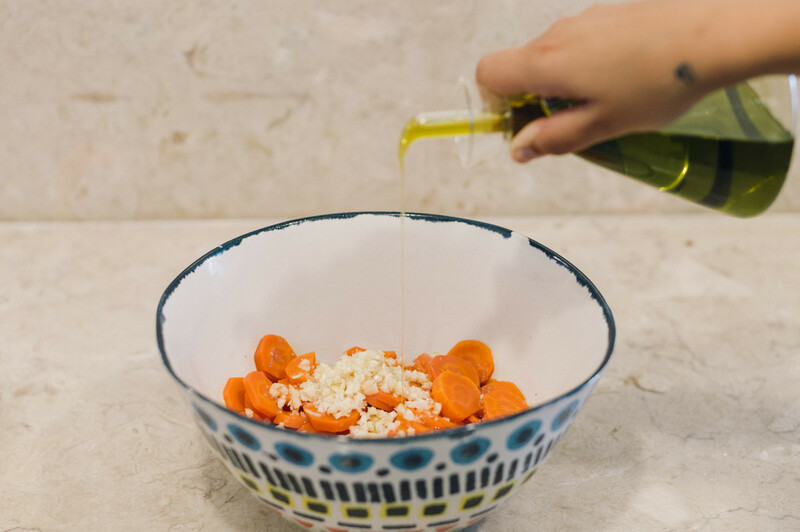 This carrot salad is a typical dish in the Algarve region of Portugal, served with bread, butter and olives. But recently, restaurants all over the country have taken a liking to this fresh yet spicy Mediterranean dish. Traditionally, it is served in a little bowl, but at O Apartamento, this Moorish side dish becomes a main. 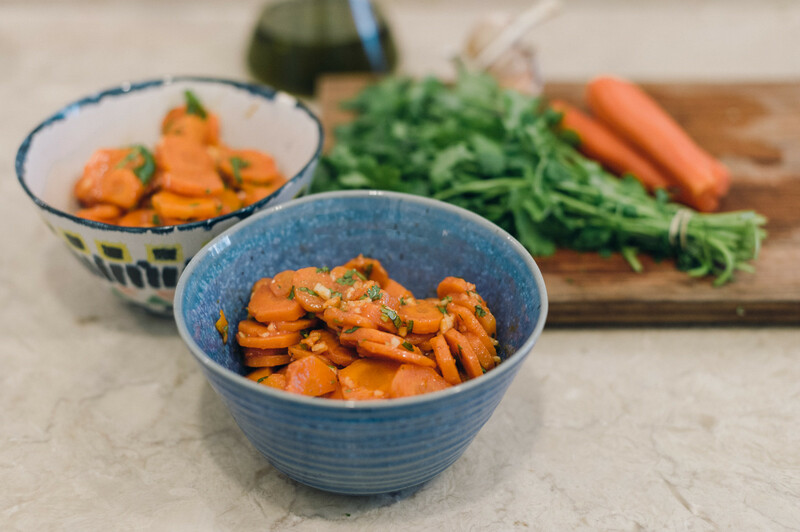 The salad features two all-time favorites of Portuguese cuisine, garlic and coriander, which compliment the sweetness of the carrots and add the finishing touch. 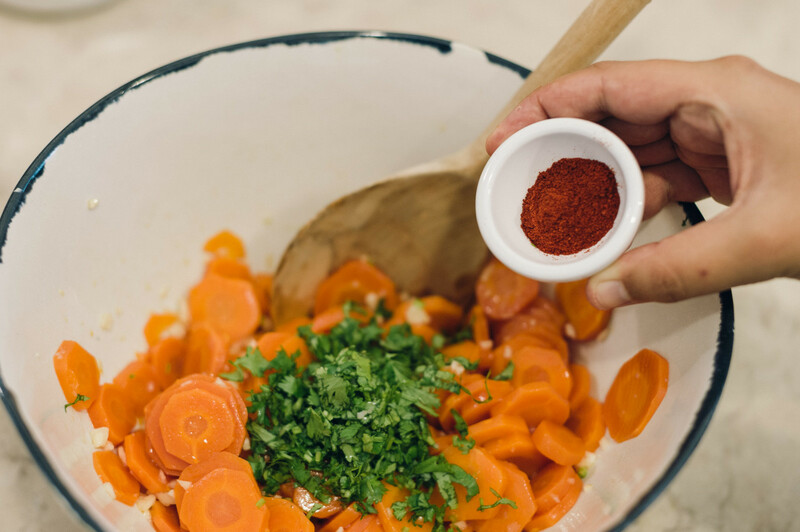 Boil the carrots in a pan with a lot of salted water until they are cooked but still a little bit crunchy. Slice the cooked carrots in bite-sized slices – not too thinly. 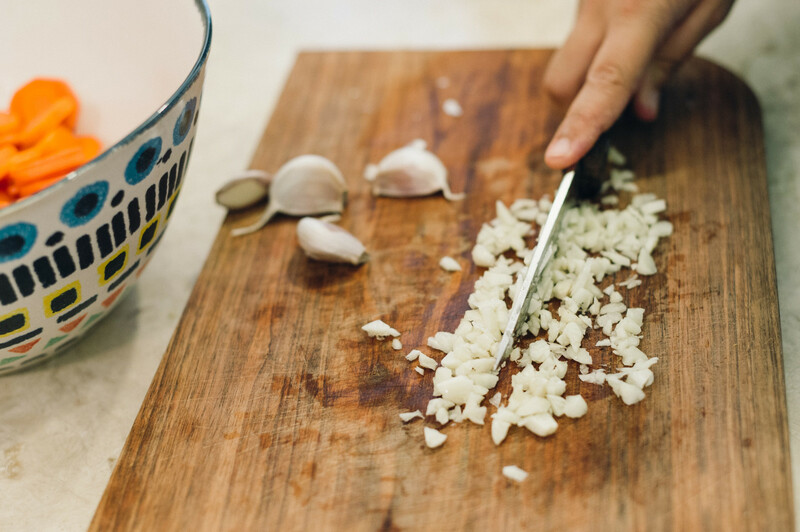 Chop the garlic and mix with the warm carrots in a bowl. This will give the carrots more flavor and balance the strong taste of the garlic. Let the mixture cool down and refrigerate for one to two hours. Season with salt, paprika, olive oil and finely chopped coriander. 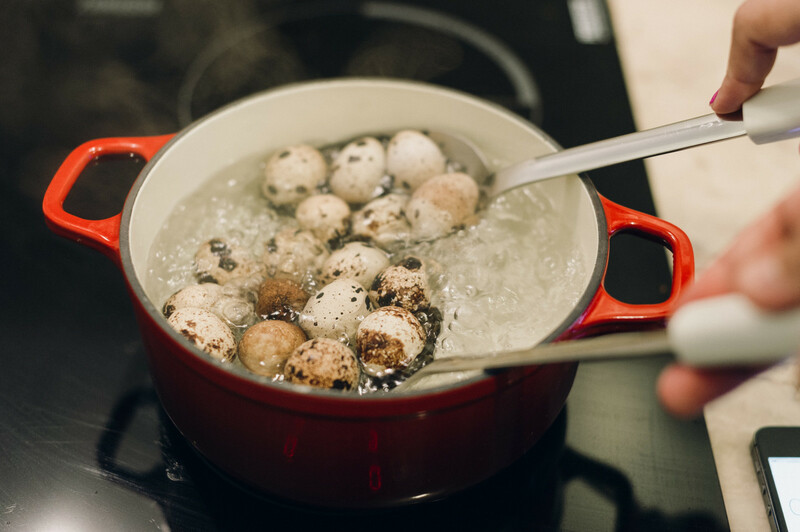 Bring a pan with salted water to a boil and carefully place the quail eggs inside using a spoon. 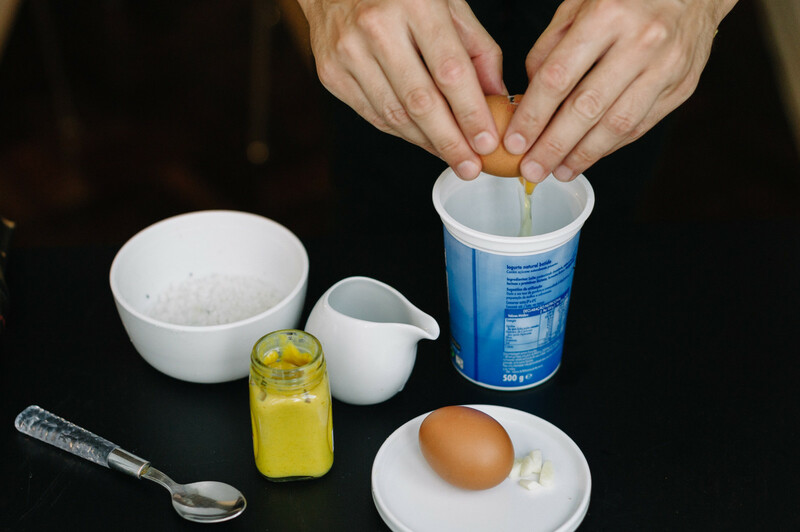 Cook them for two minutes (runny yolk), three minutes (medium boiled) or four minutes (hard boiled). 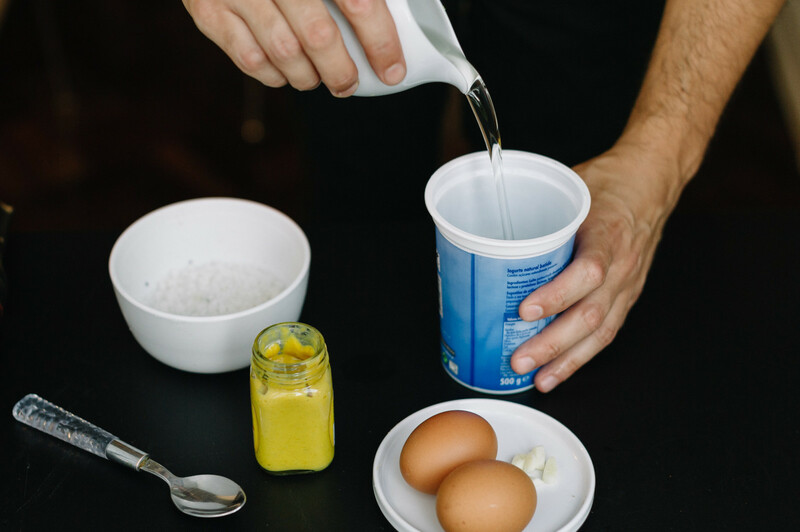 Take the eggs out of the water with the same skimmer and put them in a bowl of icy water. 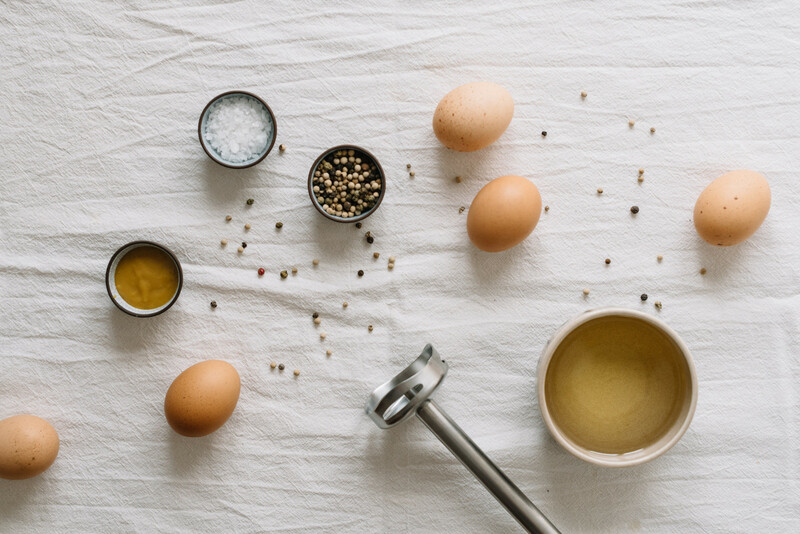 In a deep and narrow jug, blend the egg, oil, salt, garlic, mustard and pepper using a hand blender with smooth up and down movements. If you are doing it correctly, you will see that the mixture starts to expand and gain both moisture and yellow color. 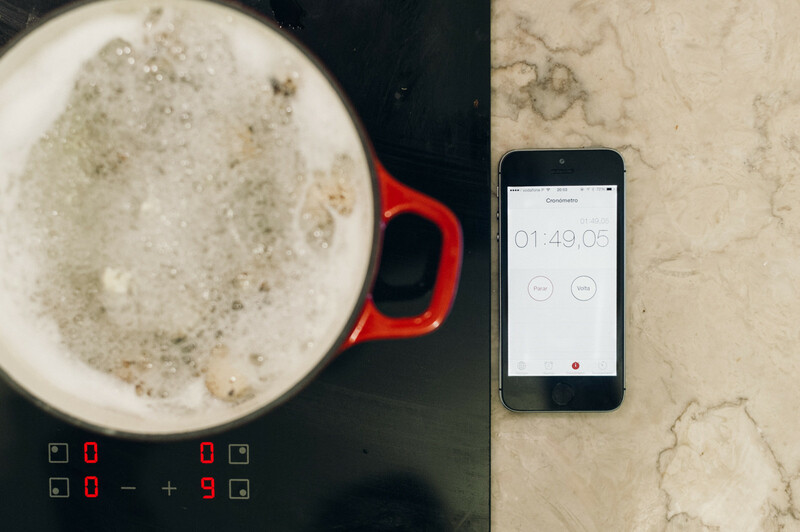 There are two tricks: don’t do this in a warm environment and add the oil slowly in a thin stream while mixing. After the mayonnaise is ready, season to taste and add the chopped pickles. 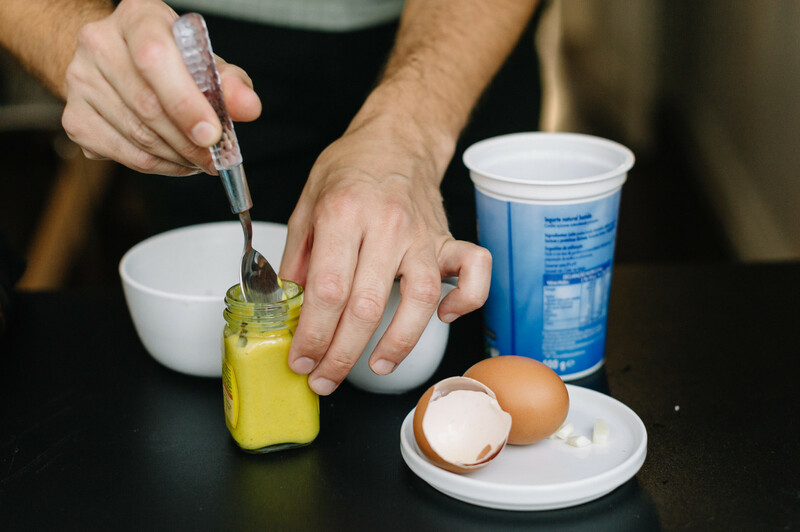 Carefully peel the quail eggs and serve with a dollop of mayo. Inês first tasted these at a party and had an epiphany: “I saw the eggs, with some sauce in the middle and when I put them in my mouth, they just melted.” She instantly tried to recreate the dish at home, which proved to be a complicated task. These days, she asks Vasco for assistance, since the mayo can be quite temperamental. 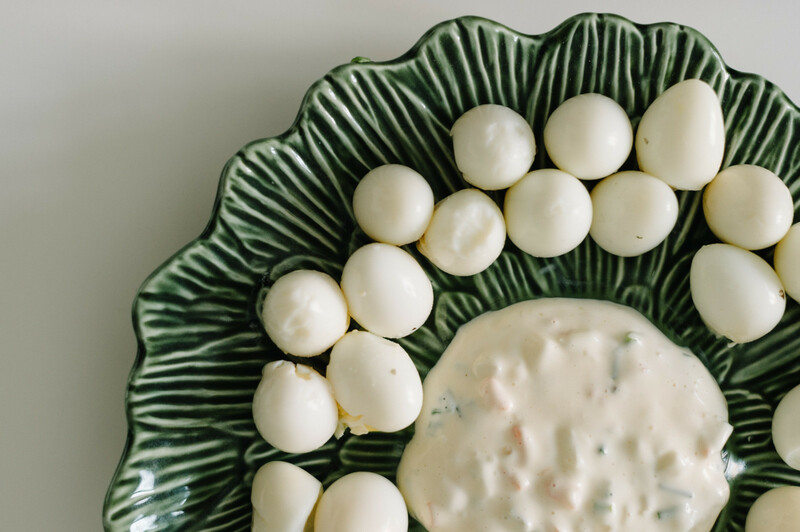 A tip from Inês: “You could cheat and just mix mayonnaise with some pickles and spices – but we prefer to do the mayonnaise from scratch.” Still, the effort is clearly worth it. A big thanks to Inês, Paula and Vasco for giving us a glimpse at the world of O Apartamento and for hosting this wonderful night.